We are all familiar with Iowa summers. We enjoy spring and fall for about three weeks each, and then we’re into the hot and humid days and nights for a good five to six months depending on the year. Without proper roofing ventilation, the heat and humidity can really take a toll on your home’s energy efficiency, and your budget. Luckily there are some things you can do to help control the effects of the heat on your home, and having sufficient ventilation is one of those things you should consider. 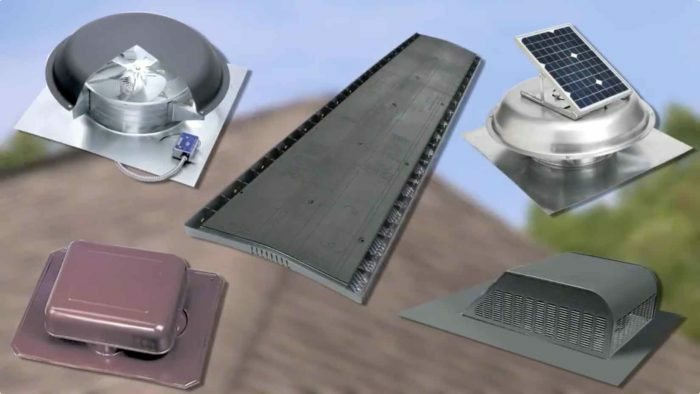 Roofing ventilation systems allow a continual flow of outside air through the attic, protecting the efficiency of the insulation and helping to keep temperatures low throughout the living space. Air exhaust – which pushes hot and humid air from the attic at or near your roof ridges. If hot air is not properly released, it can cause many problems such as; mold, rotting wood, peeling paint, ceiling stains, ice dams on the roof and overworked air conditioning units. Home Solutions of Iowa offers GAF® Cobra® Attic Ventilation, and there are several options depending on the type of roofing ventilation you already have. By simply installing additional roofing vents, you can lower the temperature in your attic by 10 to 25 degrees. This can make a big difference in your energy savings each year. In addition to proper attic ventilation, there are some other things you can do around the home to help keep things cool. Keep air registers open! It’s easy to block these with furniture, but leaving them open and clean will keep air flowing. Keep things shaded. When temperatures are high, keep the curtains closed. This will help keep heat from infiltrating into your home. Trees, shrubs, and bushes around the southern side of your home will also keep things cool, so consider planting some of these this fall. Keep the lights off when you don’t need them! Enjoy the natural light of summer. Avoid using the oven during peak hours of the day. Save the baking for the evening when things start to cool off outside. Ensuring that your roof is properly ventilated, as well as following the other summer tips, will keep your energy costs low and prolong the life of your air conditioner and your roof. Not only does Home Solutions of Iowa offers Cobra® Attic Ventilation to help keep your home cool and free of moisture, but we also can provide you with a home energy evaluation, so you can see exactly where your home may be leaking cool air. Give us a call today, estimates are always free! We chose LeafGuard® because of their reputation and we are satisfied with everything. - Brea M.